Born: 1809 in Bristol R.I.
Died: December 7, 1859 in Sandwich Ma. at 50 yrs, 7 mos, 12 d.
1. 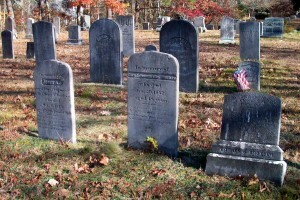 John A. Godfrey; (1831 – 1849); John was a Mariner & died at 18 yrs, 7 mos, 16 d.; He is buried in Pocasset Cemetery. 2. Louisa E. Godfrey Barlow Farnham; (1836 – 1909); Married (1) Thomas B. Barlow (1832 – 1862) (Samuel Barlow & Silvinia Bennett) in Sandwich Ma. on February 1, 1855 & married (2) Andrew Nelson Farnham, Civil War (1842 – 1909) in Lynn Ma. 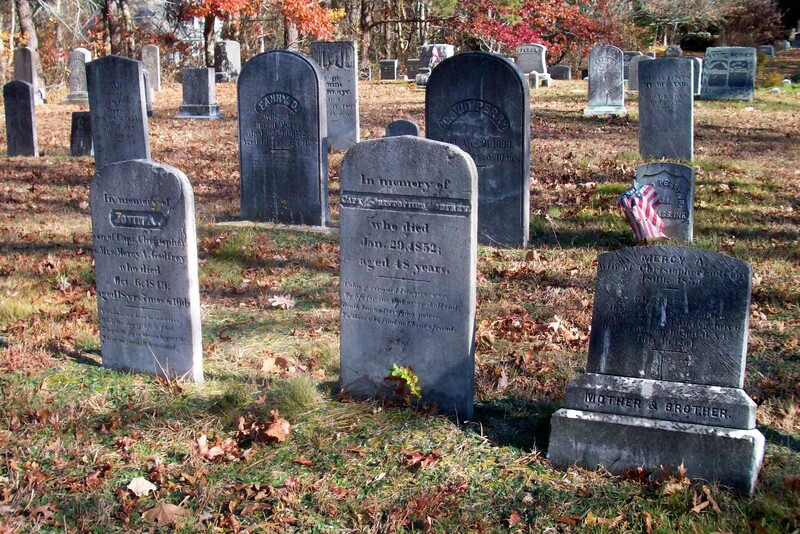 on October 31, 1866; Louisa & Thomas had 2 children; Thomas is buried in Pocasset Cemetery; Louisa & Andrew are buried in Pine Grove Cemetery in Lynn Ma..
3. William Godfrey; (1841 – ? ); No further information. 4. 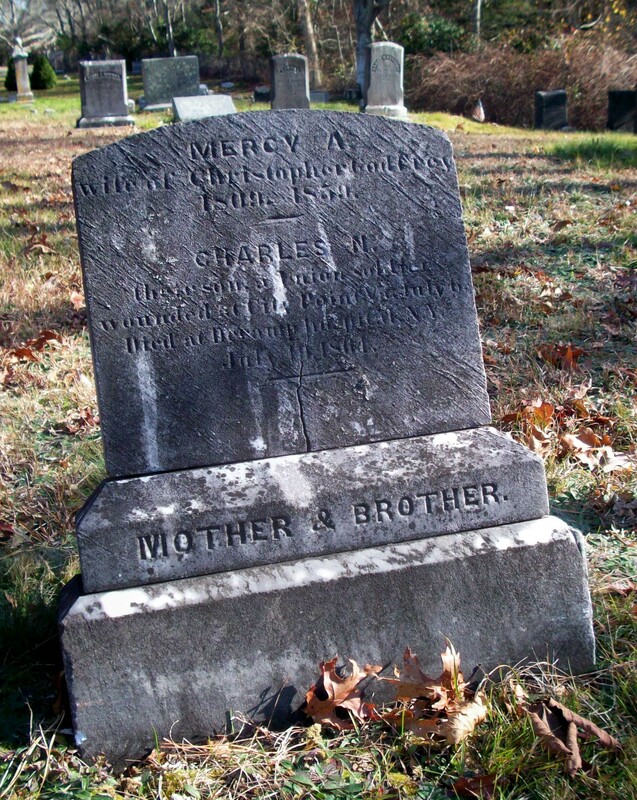 Charles N. Godfrey, Civil War; (May 20, 1846 – July 19, 1861); Charles was wounded at City Point Va. & died at N.Y. Hospital; He is buried with his mother in Pocasset Cemetery. 5, Ella/Ellen F. Godfrey; (March 11, 1849 – ? ); No further information. Married (2): July 29, 1855 in Sandwich Ma. To; Isaac Clement; (Abt.1803 – 1887) (Isaac Clement & Mary (–)); Isaac married (1) Achsah/Excy Raymond Hall (1812 – 1853) (Asa Raymond & Mercy Norris) in int. January 30, 1840; Achsah/Excy married (1) Joseph Hall, Jr. in Sandwich Ma. on July 2, 1830; Isaac married (3) Lucretia (Chase) Howland (1832 – ?) (Kelly Chase & Polly (–)) in Sandwich Ma. on September 10, 1864 & married (4) Elizabeth (Kimball) Caldwell Sampson (1822 – 1892) (Harvey H. Kimball & Abigail Thomson) in Sandwich Ma. on July 3, 1871; Elizabeth married (1) George Caldwell (1819 – 1863) (Ebenezer B. Caldwell & Betsey Howard) in Halifax Ma. on September 12, 1845 & married (2) Parmenus Greenleaf Sampson (1806 – 1866) (Obadiah Sampson & Susanna M. Fuller) on May 24, 1865 & married (4) Joseph Ramsdell (1801 – 1890) (Joseph Ramsdell & Lydia Lloyd) in East Bridgewater Ma. on October 23, 1879; Parmenus married (1) Charlotte Whiton Bump (1806 – 1846) (Nathaniel Bump & Charlotte Whiton) in Middleboro Ma. on April 1, 1831.